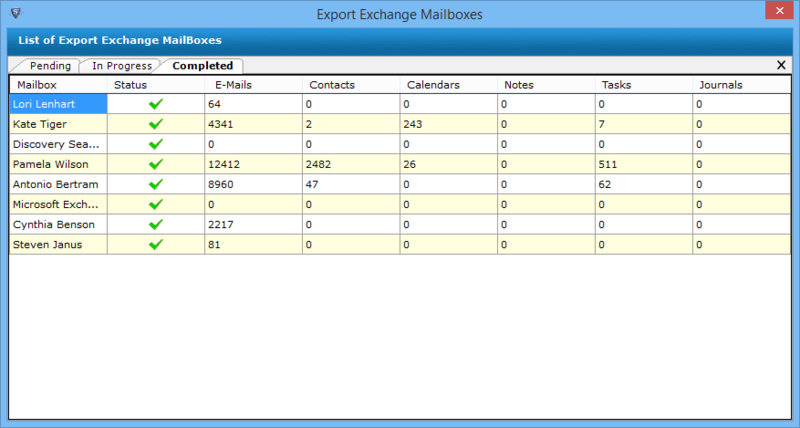 Skilled Tool to export Exchange EDB Mailboxes into IBM Notes NSF format. To export EDB file to Lotus Notes the software allows migrating the entire Exchange EDB file into Lotus Notes NSF file format. You can easily migrate EDB file to NSF with all items like: emails, contacts, calendars, tasks, notes, journals etc. 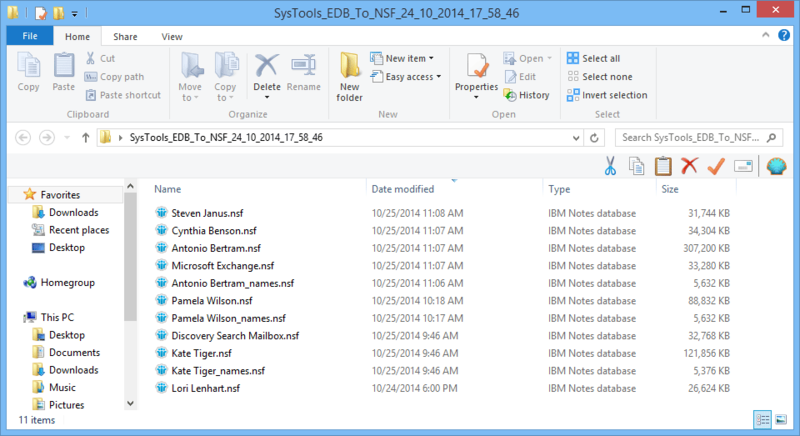 EDB to IBM notes software exports item from EDB mailboxes into NSF file format. A names.nsf file is created for each mailbox and all the contacts of the mailboxes are saved in it. 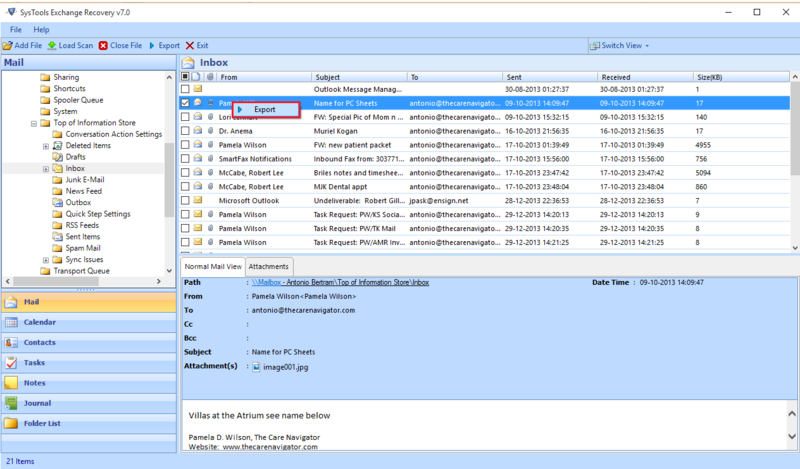 Thus you can easily import the contacts into the Lotus Notes email client. 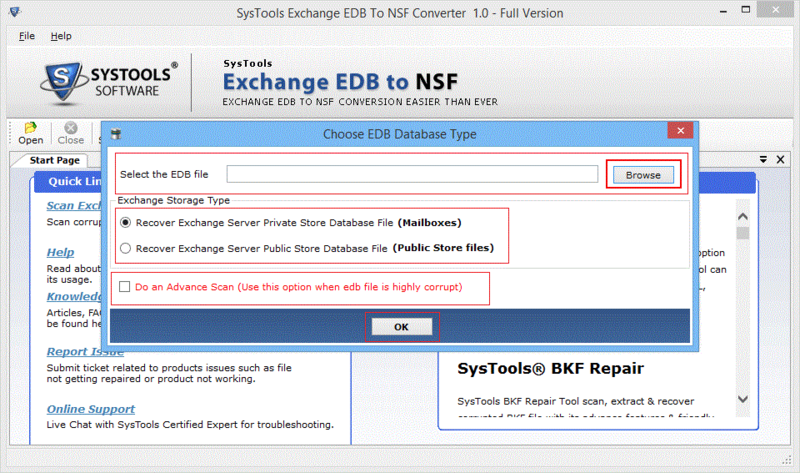 The EDB to NSF converter gives you the option to perform Quick scan & Advance Scan for the files which are corrupted. If the file has minor corruption then quick scanning is done by default. But if, the file has major corruption then you have to select advance scan mode. To convert EDB to Lotus Notes the sotware provides two option to select the type of exchange database i.e recover Exchange server private store database(mailboxes) or recover Exchange server public store database(public store file). In order to convert EDB file to NSF the software provides the option to select the items that is to be converted. With this EDB to Lotus Notes tool, it is possible to convert selective items or any selective mailboxes. You can check/uncheck items for each mailbox. when the migration process starts, the EDB file to NSF converter will show you the status of pending mailboxes, mailboxes in progress & the converted mailboxes. You can also view the number of items being converted like: emails, contacts etc. 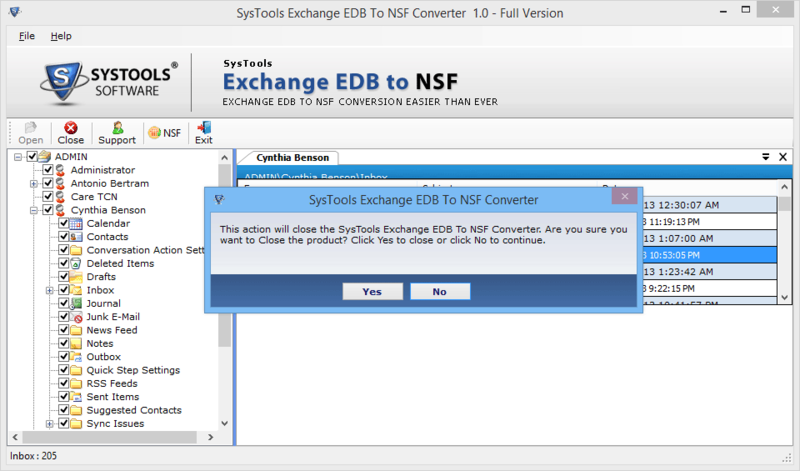 Start » All Programs » Exchange EDB to NSF Converter » Exchange EDB to NSF Converter. Click on Open to open the desired EDB file. Get into the Screen with the option to choose the EDB file database type, with browse button to locate EDB mailbox from system, Select browse. Select the Exchange Storage Type by checking the desired checkbox. The software provide you the option of Advance Scanning, Tick the checkbox and then click OK.
You can preview the EDB mailbox database & can select the needed data with check option. And to start EDB to IBM Notes conversion, select NSF option from the navigation bar. Browse the destination folder to save EDB to Lotus Notes, in the desired location. Click OK. The list of Exported Exchange to NSF data file with complete details of mailbox name, status, emails, contacts, calendars, notes, tasks etc will be shown, check it & then close the screen. Now, Navigate to the location where the software has saved the converted data from Exchange EDB to NSF format. At the end of the conversion process, close the window and accept the warning message to close the setup by choosing Yes. Can Exchange to NSF software converts contacts & calendars from EDB to IBM Notes? Yes, this software converts all the data items from an EDB file like: emails, attachments, contacts, calendars etc. to NSF file format. Is installation of Lotus Notes is necessary on the conversion machine? Yes,Lotus Notes installation is necessary for the conversion process. Lotus Notes version 6.5 or above should be installed on machine & must be configured with valid POP3 dummy profile. 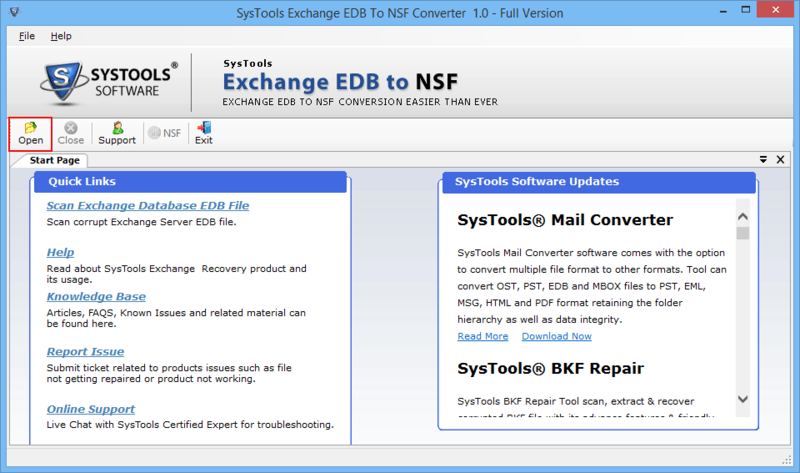 Do Exchange to NSF converter converts individual mailboxes or the entire EDB file? You can convert single as well as multiple mailboxes from an EDB according to your choice by selecting & deselecting particular mailboxes. Can this software convert multiple EDB files at a time? No, the software will convert only one EDB file at a time to convert EDB file to Lotus Notes. Is there any file size limitation for EDB files? No, you can convert EDB file of any size having any number of mailboxes to NSF file format. Can I use this software in Windows 8 environment? Yes,the software can be installed & run on Windows 8 machine successfully. It supports all versions of Windows OS. 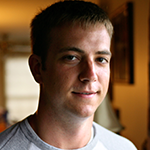 How much time does the software consume to convert EDB file to NSF? 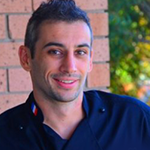 The software performs very quickly and with accuracy. Although, the size of EDB file & the configuration are the two main factors which determines the total time consumption of the software. 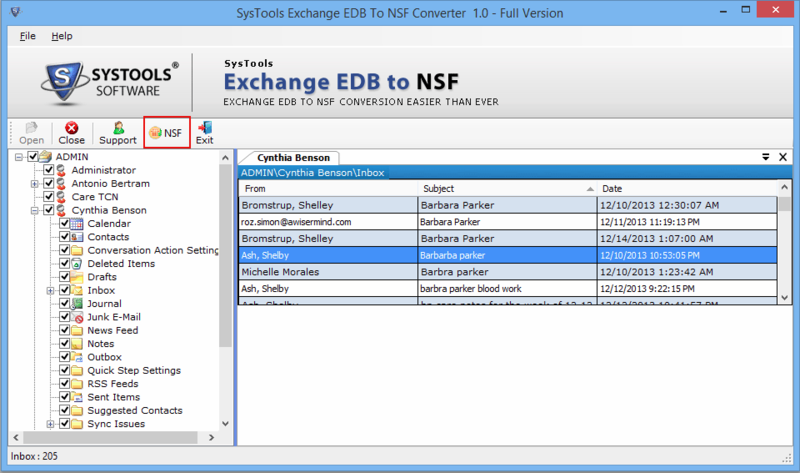 Exchange EDB to NSF converter is top notch solution for migrating all the data like: calendars, tasks, contacts etc. from EDB file to NSF file format. I had successfully exported all my EDB files to Lotus Notes without any data loss. Thanks to this software for helping me out to fetch my data with ease. 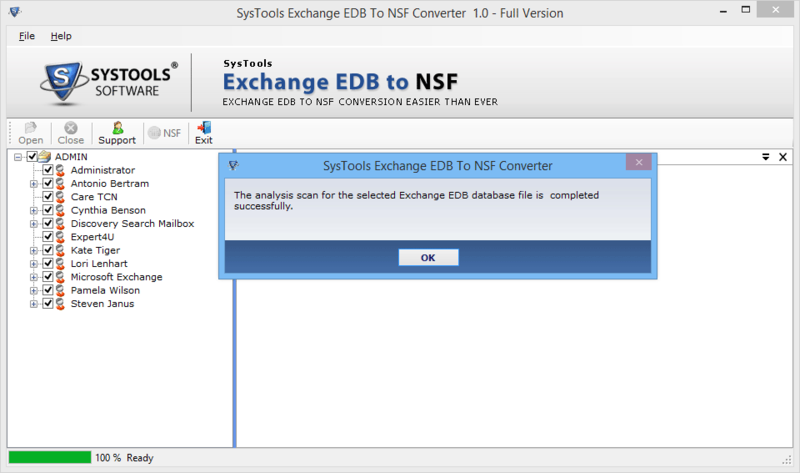 It a best product to convert EDB file to NSF without any compatibility issues, I was at loss when my EDB files got corrupted & one day I found this tool & I converted my data to NSF and got satisfactory results. Thanks to the team for making such a wonderful product to help people like me.